On top of this, the Commission has earmarked an extra €58 billion to finance a number of projects and funds which are off the main balance sheet and are not considered as part of the main budget (which include large scale projects that were previously part of the main budget such as ITER and GMES). Once this additional cash is factored in, the total increase to EU expenditure is at least 7% (the UK Treasury suggests a 10% overall increase - the difference is down to different baseline numbers). In other words, the Commission is trying to spin the increase. The 8% cut to agriculture spending is good news. However, farm subsidies will still account for over one third of the CAP budget with the Single Payment Scheme accounting for the bulk of the subsidies, meaning that golf clubs, multinationals, assorted royalties and other landowners will be able to cash in on EU farm subsidies well into the future (the Single Farm Payment is disbursed based on historical entitlements and land ownership, irrespective of whether the recipient is actually a farmer). The Commission's blueprint leaves the mechanism for the allocations of regional funds untouched, meaning that richer member states will continue to "recycle" money between each other via Brussels. Hardly a rational policy. On the positive side, stronger conditionality will be applied to those receiving funds, while a separate €40bn fund has been created to promote transport and energy networks across Europe (an area where the EU budget clearly can add value). More money will also be spent on Research & Development, which is good. Despite the Commission proposing a cut to jobs and an increase in the retirement age for EU officials (which is a positive thing), spending on bureaucracy and administration will increase from 5.7% to 6.1% share of the total budget. The Commission wants to scrap the existing rebate systems in favour of new “lump sum” reductions to net contributors’ payments – it is not yet clear what economic impact this would have on the UK’s rebate. We'll no doubt return to this point. However, by far and away the most controversial aspect of the draft budget presented yesterday is the proposal to introduce fully-fledged EU taxes, in the form of both a "financial sector tax" and a new "EU VAT". It's not yet clear how much money the Commission is planning to raise via these two brand-new EU levies. We believe that EU taxes are a non-starter: they not only lack any democratic legitimacy, but are also extremely difficult to put into practice (this is particularly true for a financial transaction tax, as we've argued here). "The Commission clearly exceeds the total volume of the budget which would be acceptable to the [German] government." And his Italian counterpart Franco Frattini has made clear that Italy will seek an "indispensable" reduction in its net contribution to the EU budget over the next seven-year period. In other words, we're in for a long, grinding negotiation round. The German Finance Ministry put out a press release this afternoon stating that a broad agreement had been reached with German banks over private sector involvement in a second Greek bailout. Now, it’s been suggested for some time that this whole plan revolves around the involvement of German banks…but for those hoping that the German involvement would bring with it a substantial bailout contribution, the announcement may be a bit of a disappointment. So, here are the facts as they stand. Privately-owned German banks have agreed to rollover €2bn (yes, that is a two) worth of Greek government bonds, while the mostly government-owned Hypo Real Estate and WestLB will contribute another €1.2bn. Giving a total involvement of €3.2bn in the second Greek bailout (out of €120bn). A few reasons were given for the seemingly low figure. German Finance Minister Wolfgang Schaeuble suggested this was all the Greek debt that matured by 2014 on German banks' books. Also, that, although German banks do hold around €18.5bn in Greek debt, most of this is long term expiring in 2020 and beyond, making it pointless to rollover (or not even eligible for consideration). Along with the reiteration than any involvement must be completely voluntary and avoid being judged a default at all costs. The exact details of the plan were not disclosed but it was made clear that the ‘French Model’ (stay tuned for our analysis of this in an upcoming blog post) would form the substantive basis of the agreement. It is clear though that the Germans do want to make some changes to the French plan, specifically over the length of the debt which the money will be rolled into/ reinvested. The French currently suggest 30 year Greek bonds but the German banks do not seem keen on this at all, so expect a disagreement or two on this at Sunday’s meeting of finance ministers. Today is a hectic day for those of obsessed with EU affairs. A crucial vote in the Greek parliament, determining whether the country will receive the next tranche of the first EU bailout (and qualify for a second one), will (eventually) be followed by an announcement from the Commission on the size and shape of the EU's long-term budget (from 2014 and onwards). Here, we'll do some live blogging giving you the latest news along with our take on the two key events unfolding throughout the day. All times will be in BST. 22.20 (London) - we're out. Tomorrow we'll publish a more detailed look at the Commission's proposal, comparing it to the current budget period (2007-2013) and giving our own ideas for how the EU budget should be reformed. Barroso: "This is an extremely serious, credible proposal, and to say 'no' to something which was only adopted two or three hours ago is not serious or credible." UK Treasury: "The European Commission's proposal is completely unrealistic. It is too large, not the restrained budget they claim, and incompatible with the tough decisions being taken in countries across Europe." 21.20 (Brussels) - the Commission's proposal includes an increase to administrative cost. Looks as if it's going from 5.7% to 6.1%. Naively, we had hoped for at least a freeze. 21.00 (Brussels) - 8% cut in CAP funding welcome but not nearly enough. 20.46 (Brussels) - So the Commission proposes a 2014-2014 EU budget of €1.025 trillion for 2014-20, up 5% from 2007-2013, But this does NOT include the EU funding that falls outside the actual EU budget. 20.41 (Brussels) - the Commission proposes a financial transaction tax (FTT) and an EU VAT to fund the EU budget . As we've argued before, an FTT is unlikely to work. 20.30 (Brussels) - press conference announcement: the EU budget will remain at 1.05% of European GNI (as expected) but will still increase in real terms (as expected). 20.08 (Brussels) - the Commission's press conference has started. From elsewhere we hear that under the Commission's proposal the long-term EU budget is itself up 5%, roughly €46bn. However, there's another substantial increase to the non- EU budget funds, possibly making for a more substantial rise in overall EU expenditure. But these are all preliminary figures. Stay put for more details. 19.00 (Brussels) - ahead of the Commisison's EU budget announcement, question remains what the size and shape of the budget will look like. As noted below, we suspect a limited increase to the actual EU budget (but still an-above-inflation increase) while a substantial overall increase when also counting the funds outside the EU budget. 18.02 (Brussels) - The Parliament reports that, only hours before Barroso's imminent announcement of the Commission's proposal for a financial transactions tax, a newly Commission-sponsored Eurobarometer poll has found that 61% of Europeans "are strongly in favour of a financial transaction tax". Coincidence. We think not! 17.34 (Brussels) - Commission's press conference to announce the budget now expected at 9pm Brussels time (8pm UK time). 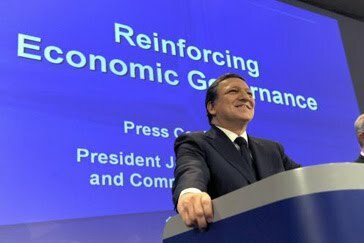 17.30 (Brussels) - As riots continue in Athens, EU bureaucrats’ unions threaten their own strikes over raised pension age for Commission officials and some jobs cuts in the EU institutions – which Barroso is set to unveil. Unionised eurocrats will meet with Barroso on Thursday to discuss the proposal, they say strikes are on the cards. What a fantastic example they’re setting. 17.25 (Paris) - Meanwhile, we learn from the Élysée website that François Baroin is the new French Economy Minister. He may remain in office only for nine months (there are presidential elections in France next year), but in light of what is going on in the eurozone that could be a very long time... We also see that Jean Leonetti replaces the charming Laurent Wauquiez as France's Europe Minister. He becomes the fifth Europe Minister under Sarkozy's presidency! - Angela Merkel: "Banks should do it in their own interest in case they want to continue working in politically stable countries in the future." - Deutsche Bank CEO Joseph Ackermann: "We are generally not thrilled about bearing a hand to politics but we know our responsibilities." 16.35 (Athens) - Looks like the fires have been put out at the Finance Ministry...for now. 16.15 (Athens) - Greek Finance Ministry on fire! Protesters have started fires at the bottom of the building, most likely in an attempt to have it evacuated. The tension within Syntagma square has been rising since the announcement of the vote. It looks to be becoming violent again with tear gas and stun grenades going off around the square. 15.46 (Brussels) - No more news regarding the Commission's budget announcement. The Commission's media centre still has the press conference with Barroso and Budget Commissioner Lewandowski as "TBC"...Commission expected to discuss its proposals with the European Parliament by 7pm. We should hear something after that. Tomorrow, the eyes of Europe will again be turned towards Athens as parliamentarians are called upon to approve the implementing measures for the programme. A second positive vote will pave the way for the disbursement of the next tranche of financial assistance. It would also allow for work to proceed rapidly on a second package of financial assistance, enabling the country to move forward and restoring hope to the Greek people. - German Chancellor Angela Merkel:"That is really good news." - Bundesbank President Jens Weidmann: "We’ve made an important step but we are not at the end yet." - Bundesbank CEO Carl-Ludwig Thiele: "The problems were Greece’s fault. It is Greece’s duty to solve them- today it has made a crucial step." 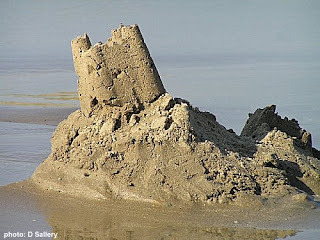 - Can Greece enact the austerity packages at the individual policy level, ie. can they pass the vote tomorrow? - Can a solution be found for private sector involvement in the second Greek bailout, which meets both the German and ECB requirements? 14.20 (Athens) - The final result: 155 (Yes) vs. 138 (No), with 2 abstentions and 5 merely saying 'present' (not sure what that means, but essentially an abstention). The required amount was 151, so in the end the government cleared it with relative ease. 14.18 (Athens) - Despite the violent clashes throughout the day there hasn't be an outcry following the result of the vote. In fact the result seems to have sucked the life out of the protests, at least temporarily, and there seems to be a lull in the square in front of Parliament. Again that could change, particularly as MPs begin trying to leave the Parliament building. 14.07 (Athens) - Greek government has secured the necessary majority for the austerity package, by (we think) a four vote margin. So, as expected the austerity package has been passed! Sure Papandreou is breathing a sigh of relief. But we can't help but feel that his problems are only just beginning. He now has to get through the potentially more explosive vote tomorrow on the specific policies included in the austerity package and privatisation plan. Not to mention actually meeting all the targets and negotiating the second bailout (and let's not forget that someone probably needs to sort out the Greek banking sector). 14.00 (Athens) - Currently 114 (Yes) vs. 103 (N0). 13.50 (Athens) - Currently 55 (Yes) vs. 43 (N0). Already one dissident from the PASOK governing party and two so-called cross benchers voted 'no' as well. 13.45 (Athens) - Currently 20 (Yes) vs. 11 (N0). The vote is finally starting, with each of the 300 MPs voting one by one in a roll call vote. The Greek Prime Minister George Papandreou and the leader of the opposition party Antonio Samaras both had their final say, aiming significant criticism directly at one another. 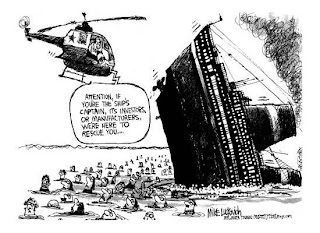 The PM accused Samaras of sitting on the sidelines and not doing enough to save Greece. In response Samaras suggested Papandreou was engineering a political breakdown in Greece. 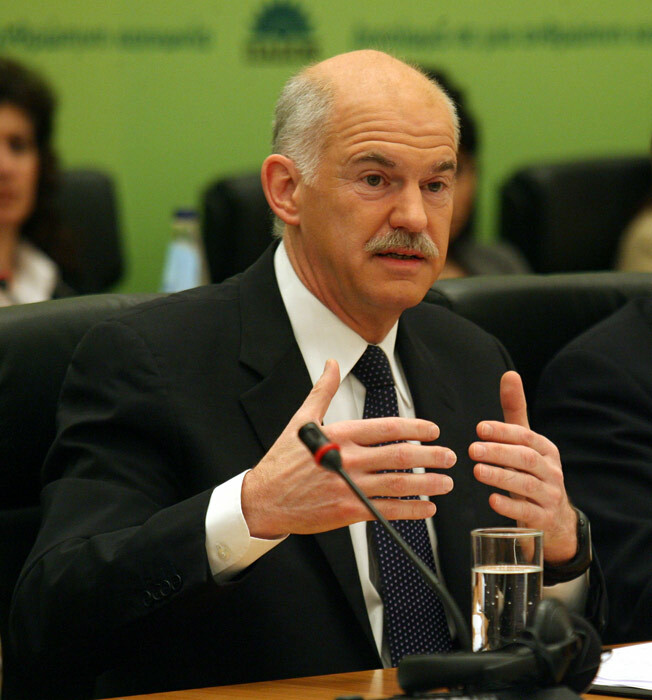 Papandreou got the last word in, but we doubt this political posturing changed anyone's mind. 13.30 (London) - A bit more clarity on the reports in today's papers that the Commission was planning a 12% increase to the 2014-2020 budget. It has been suggested that the figures leaked by the Treasury last night included the European Development Fund (one of the EU's aid programmes) and the Globalisation Fund. Although these are EU programmes, they are not funded through the EU budget and are agreed separately. This probably accounts for the 12% rise reported this morning. Live video coverage of the protests can be found here. 13.15 (Brussels) - Reuters is reporting that the Commission will propose an EU-wide tax on financial transactions (as expected) and a freeze in farm spending as part of its budget plans. The report suggests the proposed tax on financial transactions aims to raise up to €50bn specifically for the EU budget. 13.10 (Athens) - Vote now expected in about 20 mins. The Finance Minister Evangelos Venizelos is currently speaking in the Greek parliament, being predictably gloomy about Greek prospects if they do not agree to this package (although he's not completely wrong). He's been a stalwart of the PASOK (the governing party) line that all members must support the package, any dissidents would be expelled from the party, probably ending their political career (although the opposition party, New Democracy, has taken the same line to ensure all their members vote against the package). 13.00 (Brussels) - As all eyes are on Athens, looks as if the European Commission won't announce any details of the EU's long-term budget until later tonight, possibly around 7pm (Brussels time) after it has discussed with the European Parliament. Oven on Guardian Comment is Free, we argue that "The narrative now cemented in the public imagination that Greece could be the 'next Lehman Brothers' is, for the most part, largely overblown." beyond the headline-grabbing rhetoric, the comparisons simply don't stack up. Firstly, the majority of those peddling this myth have a significant vested interest in avoiding a Greek default or restructuring. It was the European Central Bank that first floated the Lehman analogy. Why? Sheer self-interest. By propping up Greek banks and the Greek state, the ECB has taken on €190bn worth of Greek assets, which would face radical write-downs should Greece default. Many commercial banks across Europe have joined the chorus of scaremongers ("liquidity will dry up", "contagion will spread", "savings will be wiped out", etc) for much the same reason. The banks' passion for more bailouts is not altruistic, but stems from the desire to ensure that profits remain private, while losses continue to be socialised. But here lies the crucial difference. Unlike with Lehman, both governments and the financial markets have had over a year to prepare for a potential Greek default, with plenty of warnings leading up to last year's (first) breaking point. Even as late as February this year, investors could have walked away from Greek bonds with only 20% losses (as they continued to trade at 80% of their nominal value) – a good deal considering the mess Greece is in. A Greek default would not reveal a new hidden world of risk. 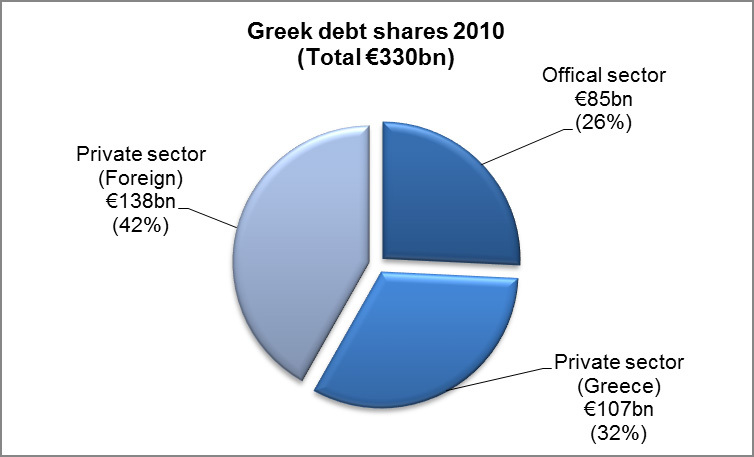 Neither are the connections to Greek debt within Europe's banking sector as substantial, despite remaining opaque. But rather than finding new ways to safeguard banks' exposure to Greece, shouldn't we really be asking why these banks haven't reduced their exposure to Greece and deleveraged? On top of this, the Lehman crisis was the tip of a huge iceberg. It revealed banks' huge exposures to the US mortgage market – large parts of which turned out to be bust. Again, note the contrast to Greece. The problems with the eurozone periphery are well documented but are also country specific. Ultimately, if a country with a GDP of only 2.5% of the European economy can bring down the entire system, that's probably a sign that the system is fundamentally flawed. 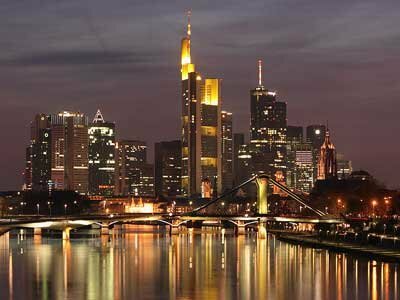 Regrettably, politicians are using the misguided comparisons with Lehman Brothers as an excuse to ignore and perpetuate Europe's real problem: an unhealthy, undercapitalised banking system and a monetary union based on the premise that political leaders' commitment alone could make economic and democratic realities disappear. Now that's what you call playing with fire. "Sovereign and banking sector strains in some vulnerable euro-area economies were the most material and immediate threat to UK financial stability"
"Right from the start of this crisis, people wanted to believe it was a crisis of liquidity and we need to accept it's a crisis based on the build-up of large amounts of debt…The belief that we lend a bit more will never be an answer but it can buy more time to put in place a fundamental solution." So, essentially Mr King is pointing out that weaker eurozone members suffer from a pretty severe solvency problem - not a liquidity on. It's hard not to interpret this as an outright criticism of the EU leaders' and the ECB's current bail-out strategy. Adding even more debt to the mix, won’t change anything (other than possibly buying a bit of time). This is interesting stuff. Not only because it’s a different take to that of of the UK government - which has been peddling non-controversial statements over the last few weeks. But also because it puts him squarely on a collision course with the ECB. And the thing is: King is absolutely right. Moreover, when you combine the two quotes above, it suggests that the UK should be pushing for another approach to the crisis, outside of more bailouts. The Prime Minister’s response to King's comments, coinciding with the conclusion of the EU summit, was broadly positive as well. There was some spin surrounding the EU summit of course - the played up dispute over the UK’s involvement in the second Greek bailout, as well as spats over asylum policy. Meanwhile, journalists are having a field day with Herman Van Rompuy's new, ridiculous egg-like Council headquarters (costing a mere €240 million, €100,000 only for the brochure apparently - seriously, does he not have anyone who can help him on the communication front? Or is this man running his communication efforts as well, which would perhaps explain it?). "As I have said, and secured in these Council conclusions, we need to make sure all our banks are being strengthened in terms of their capital reserves and what they can withstand…I am confident that that is taking place in the UK. We need to make sure it takes place right across Europe and I think that's absolutely vital and what Mervyn King is saying is right." So, despite not saying that he agreed with King’s assessment of the eurozone crisis, Cameron made it clear he’s not going to allow the watering down of the new Basel III regulations anytime soon. That should at least put banks towards the path of being able to absorb any losses when the current bailout approach comes crashing down. As one of the eurozone's biggest weaknesses is its under-capitalised banks, the importance of Cameron's call can hardly be over-stated. Following a “row” with Germany over the UK’s involvement in a new rescue package for Greece, Cameron has declared something of a victory. The EU bail-out mechanism through which the UK would have been partly liable, the European Financial Stabilisation Mechanism (EFSM), won’t be activated and the UK will only contribute €1bn or so to a fresh Greek aid package via its IMF commitments. Not that it was much of a row in the first place – it was primarily the Guardian that got a bit over-excited, quoting one German official, which made No 10 look pretty good in the end. A proposal for activating the EFSM was never really on the table. However, since the UK actually doesn’t have a veto over its own participation in this fund (bizarrely, the activation of the EFSM is decided by a majority vote amongst EU leaders) there was still a theoretical risk that the UK could be outvoted. Indeed, the fund could again be called upon in future bail-outs. So this game isn’t exactly over. But in fact, this is not the most relevant discussion. Yesterday Cameron stated that “when the eurozone suffers, the UK suffers”. 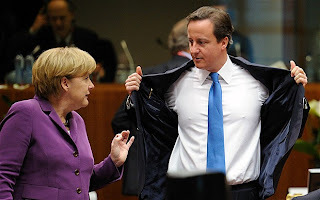 In pretty strong language, he has stated that it is very much in the UK’s interest that the eurozone returns to health. But if this is so, why isn’t the UK participating in a second Greek bail-out? Then we go on to argue what you've heard us argue many times before - that the bail-outs aren't working. As the group of 14 Tory MPs from the new intake argued in yesterday's FT, nodding through a failing eurozone strategy will leave the UK exposed to future meltdowns in euroland. It should instead be pushing for a restructuring - and plan for it to be achieved in an orderly manner. Read the full piece here. With the eurozone staring into the abyss, let's have a look at what the papers and commentators across Europe are saying about the state and future prospects of the Single Currency. "In the twelve years since the euro was introduced, Germany has had on average the lowest growth rate. It was with 1.2% significantly lower than the eurozone average of 1.5% or EU average of 1.7%." "The euro is becoming an ever greater threat to Europe's common future. The currency union forges together economies that are simply incompatible. Politicians approve one bailout package after the other and, in doing so, have set down a dangerous path that could burden Europeans for generations to come and set the EU back by decades." "The time has come for European politicians to face reality: the euro is dying; it needs to be finished off quickly in order to save the Europeans. But it seems appropriate to do it all together in order to avoid a deadly ‘every man for himself’ scenario…For France, the benefits of [eurozone] exit will be immense." You don't read this stuff in the French press every day. "Criticism could be heard mainly from the Anglo-Saxon world. It was pointed out that perhaps eurozone countries trade with each other a lot, but differ radically from each other economically. Unleashing a single monetary policy upon all these countries, with all their differences, was like playing with fire, according to those critics…The critics have been proven right." "Greece would have been better off without the euro, everybody agrees on that. And that the ECB with its interest rate policies is bouncing between the interests of Southern European countries which want to stimulate their growth and Northern European countries which want to stop inflation, is causing little doubt as well." "The EU pretends as if the Greeks will pay back their debt, as if banks didn't suffer losses on their loans to Greece. Now the EU will pretend as if the private sector is really going to contribute to saving Greece (...) The EU will continue to build up loans upon each other until all debt has been transferred from banks to governments." "prefer making Greece’s ride to hell as convenient as possible. It is almost as helpful as giving someone who is about to commit suicide a soft rope in order to make the experience more enjoyable." "The [Greek] crisis got on the wrong track already back in 2010. Greece’s immediate cash problems were taken care of, although the main problem was that the country would never be able to survive its debts, even if they would be halved by a debt restructuring." 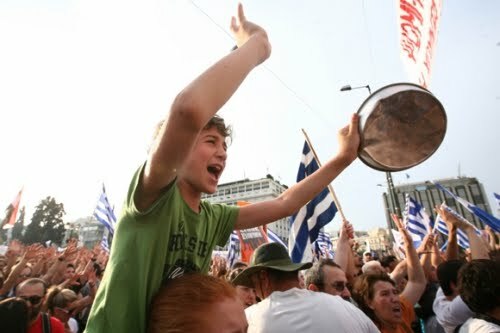 "Greece stands on the brink, the debt has exploded and is growing bigger every day, and it is now only a matter of time before the country must hoist the white flag and declare themselves a bankrupt state.There are only losers in the history of Greek tragedy, and there are indications that European taxpayers will be among the largest." "That a continent holds its breath for a vote in the parliament of a small peripheral country [yes, they're talking about Greece] says much about the precarious predicament in which the euro area finds itself…The EU is being shaken to its foundations by this crisis. What shape the euro zone’s economic, fiscal, financial and political structures will take in the future is unclear. One thing is certain though, they will either be very different or they will not exist." "As the endless crisis battering the EU gets deeper, the artificiality of the lost paradise of the ten years preceding the fiscal fire which is now spreading across the eurozone’s periphery, becomes more apparent. Greece is pushing Europe ever closer to its limits." “overcome national reservations and petty calculations [and start acting as the] responsible leaders of Europe, and not the leaders of Germany, France, or the Netherlands”. "Analysts of all type of quality and character accuse the periphery countries of financial disasters, forgetting that maybe the principal problem of Europe is political…The political stubbornness and lack of minimum common objectives between Europeans, associated with a significant amount of excesses of all orders (including cloaked paternalism) have produced levels of insecurity that profoundly undermine confidence, which is essential for the recovery of the more fragile countries." Emerging from his bureaucratic hole in Brussels, former Labour MEP Richard Corbett made an appearance on yesterday's Newsnight to discuss the ongoing eurozone crisis (joined by a Greek communist and Tory MP Douglas Carswell - the discussion wasn't exactly smooth). Corbett is one of those old EU federalists still hanging around and clinging on. Having lost his MEP seat in 2009, he now works for EU President Herman Van Rompuy. And last night Corbett did his best to keep up the appearance that he hadn't been completely found out by the eurozone crisis. You almost felt a bit of sympathy for him as he tried to explain "actually the euro as a whole is strong." "The euro has been a rock of stability, as illustrated by the contrasting fortunes of Iceland and Ireland. Joining the single currency would be a major step." Right Richard. Fast forward to 2011. For his profound knowledge of economics and monetary policy, Corbett now holds a position in Van Rompuy's court, as an "adviser" to the Man himself. Why does that make us feel even more nervous about the future of the euro? The British press' preview of today and tomorrow's summit has been partly dominated by an expected "row" between Cameron and the EU over a Commission proposal to water down rules on asylum. The fact that this has been covered in almost every paper from The Sun to The Guardian suggests it is a story that the communications folks in Downing Street wanted us to read. The question is why? The so-called Dublin Regulation allows member states to send failed asylum seekers back to their first country of arrival in the EU. However, the Commission is pushing to be given the power to invoke a suspension clause to prevent people being sent back to certain countries if they are under "exceptional pressures" from a mass influx of migrants, for example. These are ongoing negotiations on a proposal dating back to 2008, to which the previous government opted in. The current Home Secretary Theresa May said a couple of months ago that, "We oppose the suspension of transfers under the Dublin regulation." The Labour Government said it was "concerned" about the Commission's suspension clause at the time of opting in but did so anyway, presumably hoping it would be removed during negotiations. When Downing Street talks up such a "row", it is usually fair to expect it to be followed by a "UK win" - the reports today suggest that Cameron has won French backing for his position. And with EU leaders, at the very same summit, set to discuss a tightening up of the border-free Schengen zone after recent influxes of immigrants from North Africa, it would be miraculous indeed if at the same time they decided to relax rules on asylum seekers. This is not to say this isn't an issue because the Government could in theory be outvoted as the decision will be taken by QMV (exactly the kind of reason we have been advocating stronger parliamentary scrutiny of opt-in decisions). But what other motives might there be for talking up a UK victory in Europe? Could it be that Downing Street would rather we didn't focus on another story perhaps? The Guardian reports today on something that could prove far more explosive for the Government. It quotes German officials saying that the UK will need to contribute to the second Greek bailout, over and above its IMF contributions, through the EFSF, for which the UK is partly liable. "The German legal situation is clear," a German official said. "The EFSM should contribute." Asked whether the UK could veto such a move obliging it to guarantee billions for Greece, the official answered: "I don't understand the question because the decision is taken by qualified majority vote…Everyone is tied to a QMV decision." The Guardian probably got a bit carried away, as we would be very surprised if the EFSM is activated for a second Greek bail-out (much will depend on how much EU leaders can squeeze out of private creditors under any bail-out plan. Absent private sector involvement - or at least the appearance of it - there's still a risk that the EFSM will have to pick up some of the slack. There's €11.5bn left in the fund). What is true is that the second Greek bailout is still very much an open game, with the theoretical risk of the activation of the EFSM or otherwise still being decided by a majority vote. But this would create a lot of bad blood. For nearly two weeks now Cameron has been saying the EFSM will not be used but, which leads Tory MEP Dan Hannan to suggest that it is in fact the spat over the ESFM that is the fake row. In any case, this summit might not give us a whole lot of answers. We'll know for sure by 11th July, when EU finance ministers will meet to hammer out the exact details of the second Greek bail-out. As part of its plans for the next multi-year EU budget (2014-2020) and related white paper on staff regulations, the European Commission will propose a five percent cut to staff numbers in the EU institutions, a high ranking EU official has told EUobserver. "The Commission is aiming for zero growth in the administrative budget. With ongoing pay rises related to promotions, this means a reduction in the head count. If the Commission proposed lower wages and perks, they would face a strike by the trade unions." Hmmm, can you take that seriously? This reaction illustrates that, although it may not be going far as we would probably like, the Commission may be starting to get the message, however slowly, that in the long term the EU will have to make better use of its resources. It also highlights the point that, if the EU budget is frozen in cash terms, this will necessitate a proper evaluation and reordering of the EU's priorities. Rather than the so far endless increases in EU spending year on year, putting a long-term cap on the money available will force people (not just in the Commission but also national capitals) to make difficult choices about how this money should be spent. Then we can actually start getting some value out of the EU budget. Amid the ongoing Greek and eurozone debt crisis, MEPs and member states are trying to agree on a set of proposals for enhanced 'economic governance' in the eurozone. The aim: never again. MEPs will vote on the proposals tomorrow, but it looks like they're not 100% satisfied with member states' offer and may therefore adopt only part of the compromise texts agreed with the Hungarian Presidency. According to UK Lib Dem MEP Sharon Bowles - who chairs the European Parliament's Economic and Monetary Affairs Committee - MEPs will "keep the door open to a final vote in July, so the Council can come back with an improved offer." - New rules on how member states can plan and calculate their budget (including statistics and forecasts for budget planning, known as “budgetary frameworks”. This involves all EU member states, but the UK has an opt-out from “numerical fiscal rules”. Let's look at two of the more contentious issues: will the UK be affected by the proposals and will these measures actually make a difference for the future of the eurozone? - Only the UK among non-eurozone countries benefits from a special opt-out on the country-specific “numerical fiscal rules” which member states must follow when they try to bring deficit below the SGP thresholds. Budget deficit rules and accompanied sanctions: The rationale here is to beef up the sanctions imposed on member states for ignoring the eurozone's fiscal rules. It's hard to argue against this on practical grounds. As we all know, the original Stability & Growth pact (SGP) was blatantly ignored (by Germany and France first) and Europe needs fiscal discipline. Will this new arrangement be any different? Much of the new arrangement is a mere copy of the SGP. However, under the new package sanctions could be imposed on eurozone countries at an earlier stage, if they ignore recommendations from the Council. Macro-economic imbalances and accompanied sanctions: This is a tricky one. The principal is correct - fiscal discipline alone is not a sufficient solution to the eurozone crisis. The imbalances in the eurozone ultimately stem from huge competitiveness gaps between countries. But how in the world do you actually measure such imbalances - and more importantly, how do you make macroeconomic imbalances subject to pre-emptive or corrective sanctions. ?For example, how do you penalise a country whose productivity falls for various reasons or whose economy suffers from a lack of diversity, which in turn stores up imbalances? Of course, there's also the question of democratic legitimacy. Will electorates and national parliaments accept having some potentially important decisions on spending and tax being subject to supranational rules, rather than votes in elected popular chambers? But another key question is, will these proposals actually do that much to stamp out the huge tensions and weaknesses we today see in the eurozone? Greece is not alone in its insolvency and a default by Athens could trigger defaults by Portugal, Ireland and possibly Spain. The resulting losses would destroy large amounts of the capital of banks and other creditors in Germany, France and other countries. There would be a drying up of credit available to businesses throughout Europe and there could be a collapse of major European banks. 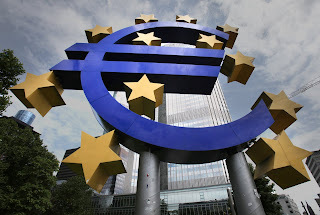 This inevitable contagion and its potential consequences for the European financial system is the reason the European Central Bank is determined to avoid a default at this time. The challenge, therefore, is to find a way to postpone the defaults long enough for the banks and other creditors to withstand the write-downs of bond values if Greece, Portugal and Ireland default simultaneously. It now seems widely accepted that a Greek default is not a matter of if, but when. The most important question is therefore: when would such a default be most cost-effective? The answer to this extends beyond just the economic costs and into the political sphere. While it is true that allowing creditors more time to buffer up against the write-downs resulting from sovereign defaults (in Greece and possibly Portugal and Ireland) could be beneficial, such delaying tactics come with three major drawbacks. First, will the banks actually get their act together? The truth is that banks have had more than enough time to reduce their exposure to Greece. Even as late as February, Greek bonds were trading at 80 per cent of nominal value – a pretty decent recovery rate given the situation. Why have the banks not done so? There are a number of reasons for sure, ranging from greed to bad judgement. But one of the main ones, surely, is that they are continuing to expect that, given the enormous stakes, politicians and the ECB will continue to bail out Greece. The fact that Germany, for example, continues to resist stringent capital requirements for its banks is a sign that lessons simply aren’t be being learnt. This takes moral hazard to a whole new level and continues to fuel Europe’s debt bubble. Secondly, the first round impact – and probably also the knock on effects – of a default will increase. We estimate that a 50 per cent haircut would be needed to get Greece down to a sustainable debt level, around 90 per cent of GDP. By 2014, following a second bailout, the necessary haircut would increase to 69 per cent. Thirdly, and related to the prior two points, by our estimates the EU, IMF and ECB accounted for 26 per cent of Greek debt at the start of this year. By 2014, following a second Greek bailout, this will have risen to 64 per cent, meaning that roughly two-thirds of Greek debt will be taxpayer-owned by that date. Thus Europe is setting itself up for a massive political fall-out: taxpayers in creditor countries will utterly despise having to cough up cash (as loan-guarantees are turned into outright losses), as “bankers” are let off the hook. On the other side of the coin, the second bailout plan assumes that the Greek electorate is willing and able to swallow three more years of tough austerity measures. Even with some token private sector involvement, it looks as if taxpayers across Europe would judge a second €100bn-plus bailout of Greece a massive injustice. This is a major political gamble. A second bailout is not the way forward. The EU needs to face up to reality and plan for an orderly debt restructuring as soon as possible, which could involve a limited cash injection. The current delaying tactic is only increasing the economic and political cost of the eurozone crisis. - EU member states have in total amassed quantifiable exposure to Greece of €311bn (via their banking sectors, the bail-out packages and the ECB’s liquidity programme). France and Germany have exposure of €82bn and €84bn respectively, while the UK only has €10.35bn exposure (in direct exposures). - In a best case scenario, to carry Greece over until 2014 a second bail-out would have to cover a funding gap of at least €122 billion. This includes Greece receiving the full amount of the original bailout as well as meeting its deficit targets and privatisation commitments. If these fail the funding needs could rise to €166bn, potentially requiring Greece to make a third request for external aid. - The cost of restructuring will also increase with time, as Greece’s debt burden will only rise over the next few years. To bring down Greece’s debt to sustainable levels today, half of it would need to be written off. In 2014, two-thirds of Greece’s debt will need to be written off to have the same effect, meaning a radical increase in the cost to creditors. Put differently, each household in the eurozone today underwrites €535 in Greek debt – by 2014 and following a second bailout, this will have increased to a staggering €1,450 per household. This makes a second Greek bail-out far more politically contentious than any of the existing rescue packages, given the likelihood of debt write-downs with taxpayers footing a huge chunk of the bill. - Unfortunately, this is a debt crisis and someone will have to take losses. We estimate that the first round effects of a 50% write down on Greece’s debt would cost the European economy between €123bn - €144bn (uncertainty regarding the ECB’s exposure accounts for the range). However, these are only first round losses. It cannot be emphasised enough that the main cost from a debt restructuring comes in the form of contagion and the knock-on effects of losses throughout the European banking system. Although this is a substantial cost, we estimate that in 2014 following a second bailout, a haircut of 69% would be needed, equal to €175bn, to reach the same debt level. These graphs clearly illustrate why a second Greek bailout is such a difficult political sale. Basically: banks out, taxpayers in. Seriously, does anyone think that this is in any way sustainable? 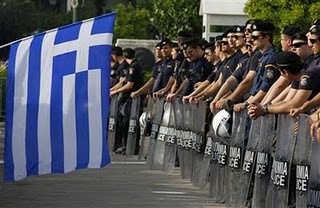 The Greek Crisis: What next? However, after an emergency meeting and hours of endless discussions, eurozone finance ministers have agreed to delay any decision on Greece until next month. In other words, Greece will get a new rescue package and the next instalment of its first bail-out only if the Greek Parliament adopts the new austerity package, worth €28bn. On 11 July, eurozone finance ministers are expected to make their final decision on the second Greek bail-out. So expect EU leaders and markets to remain on the edge of their seats over the next few weeks. As ever, it's a race against time. Greece has some debt repayments to make by mid-July and will be forced into bankruptcy if it fails to secure further EU/IMF financing. Tomorrow, we will publish a new briefing on the implications of a second Greek bail-out and a likely default. Stay tuned. The situation in Greece has shifted in the last few days (admittedly a massive understatement), previously the disagreement between the ECB and Germany over a second Greek bailout was the main threat, but with the IMF now agreeing to release the next tranche of the original Greek bailout funds, the main engine pushing Greece towards an imminent default is now the domestic political chaos. As we've argued before, EU leaders' gamble on the viability of the eurozone was always two-fold: first, that economic forces could be contained (which we all knew they couldn't) secondly, when a crisis hit, taxpayers and citizens would go along with whatever crisis-solution that EU leaders came up with, be it bailouts, EU-backed austerity measures or closer fiscal union. "Greece’s situation is simply unsustainable. 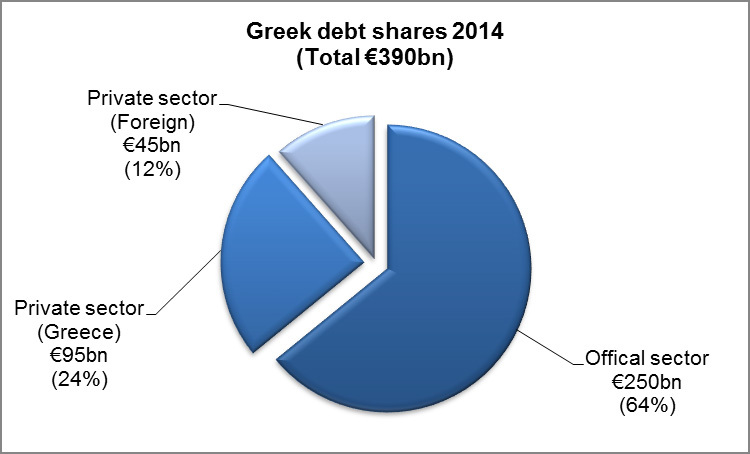 This year, Greece needs to find at least €53 billion just to avoid increasing its already massive debt. Even in a best case scenario and with the help of foreign taxpayers, Greece is set to fall short of these targets. The numbers simply do not add up and some sort of restructuring – or additional help – therefore seems inevitable." This is where the second big gamble kicks in - how far can you push electorates in both debtor and creditor countries, before something gives in? Media across Europe is now awashed with images from the Greek protests and stories about the political chaos that has hit its governing class with with full force. Like any other gamble, the outcome of EU leaders' bet on social, democratic and political forces being possible to contain is shrouded in uncertainty. So what about the options on the table? Well, next week, Open Europe will publish a briefing detailing the EU's exposure to Greece (through various channels) and the potential costs and implications of a second bail-out. Again, as we've argued for a longer time than most, a full debt restructuring is emerging as the only viable option. Bond rollover - Offers private bondholders, who hold debt maturing in the next few years, the chance to purchase new longer term debt. This option is backed by the ECB and France since it is completely voluntary and would not be viewed as a default by the rating agencies. The main problem is, why would any bondholders agree to this? It comes down to whether they believe that the EU/IMF will let Greece default if they do not take part. Even if a substantial number of bondholders agreed, it would only relieve the pressure for a short amount of time. Bond swap - Offer private bondholders the chance to swap out their current bonds for those with longer maturities (7yrs has been discussed). Originally viewed as voluntary but rating agencies have made it clear that this would be judged as a default. Same problem as rollover, why would bondholders commit? Also significant disadvantages from being judged a default (no more ECB liqudity for banks etc). Although the reversal by the IMF is welcome in the sense that it avoids Greece defaulting in a disorderly manner next week, the underlying problem remains. A second bailout will not solve any of Greece's problems but will merely delay the problem and will mean that when the eventual restructuring happens more debt will be in official hands (EU/IMF/ECB), furthermore it will simply be renewing and extending the massive gambles which the EU took with the original bailout, clearly that lesson has not be learnt. So, the frank exchange of views with the ECB over our recent research into the ECB’s exposure to peripheral Eurozone countries rumbles on (albeit indirectly for the most part). Yesterday, the WSJ Real Time Economics blog covered comments by ECB Governing Board member Lorenzo Bini Smaghi suggesting that estimates such as ours were based on a "misunderstanding of the Eurosystem and its risk provisions" (we recommend reading the blog in conjunction with this post to make sense of it all). Bini Smaghi makes three key points, which we try to address here: that the ECB’s revaluation account can actually absorb any losses it faces, that its stream of seigniorage from printing money adds to its financial strength and that only a default would really threaten the ECB’s balance sheet. This seems to be a classic example of an EU institution trying to hide behind its own complexity. Frankly, we've seen it all before, and we're not overly impressed. So here we go (excuse some of the technical language, we’ll explain it all further down). Firstly, the revaluation account was set up to help protect against losses on foreign reserves (including gold and dollar denominated holdings) resulting from changes in prices or exchange rates. As the value of these holdings changes any gains or losses are shifted to the revaluation account while the assets themselves remain listed at original prices. The idea is that these changes could be temporary and so it is financially prudent to add in this extra buffer (we agree on this point). Accepted, since the revaluation account is now over €300bn it is unlikely that all of this would be needed to buffer against price or exchange rate risks. However, it is not clear why, after being used for this purpose for over a decade, the ECB would switch to using it to account for broader credit and collateral risks. This also explains why we did not include it in our paper, since it is not defined as part of the capital base and was not created for the purpose now being suggested. Hence we stick by our comment that it would take only a 4.25% decrease in the value of assets to wipe out the ECB’s capital base (defined as capital and reserves, the standard definition). More importantly though, this means that any money inside the revaluation account is unrealised (meaning it only exists on paper until the underlying assets are sold). Therefore, in order to cover any losses which appear in the ECB’s profit and loss account (realised losses) the ECB would need to sell some of these assets. So, the ECB would essentially be deleveraging to help cover its losses, a process which we’d expect might startle financial markets. This also means that Bini Smaghi is including the potential sale of assets as part of the capital base calculation, which seems far from normal. Including this money in capital and reserve buffers is very confusing since the revaluation account is listed as a liability while the actual holdings are listed as assets. These points seem to make it difficult for the revaluation account to be judged as a real backstop against the potential losses from a Greek default. Additionally, since these gains are unrealised and the assets would have to be sold off for the revaluation funds to be tapped, the liquidity of the assets must also be considered. Given that demand for gold and dollars remains strong this may not be such a problem. However, these holdings will always be slightly constrained by their liquidity and will involve some transaction costs. Furthermore, if Greece was to default we’d expect there would be significant turmoil in the financial markets, with money rushing out of the Eurozone and towards the 'safe haven' of the US. This would ultimately cause a massive drop in the value of the euro, likely wiping out a part of the revaluation account. This is a highly technical issue, so bear with us. Seigniorage is essentially the income which the ECB and Eurosystem devise from being able to print money. Since they control the size of the monetary base now and into the future this income represents a significant financial strength, this is undeniable. However, it does have its limitations, particularly under a Greek default scenario. Firstly, it is dependent on the demand for currency, the interest rate and the inflation rate. These are all currently low, mostly due to the sluggish recovery in parts of the Eurozone, meaning that the level of seigniorage is limited. A paper published through the ECB last year notes that this income dropped to around €787m in 2009, and even at its peak was only around €2bn, not massive amounts considering our loss estimates of between €44bn - €66bn. The ability to control future money production is important, but our point is more that the immediate hit which the ECB and Eurosystem will take from a Greek default would be passed through to taxpayers. Even with a large future potential income from printing money this cannot really be overcome without printing money immediately, which would be inflationary, as we suggest. Furthermore, if the ECB did draw on future incomes it could undermine the future financial strength of the ECB. Ultimately, our point was that the immediate hit which the ECB would take under a Greek default could cause it to need to be recapitalise or ramp up its printing of money (above the point where it is non-inflationary) and these costs would be passed onto taxpayers. If you’ve stuck with us until now, thanks for hearing us out. Our research into the ECB was an attempt to scratch the surface on what is an incredibly opaque and complex issue. Once again, given its response, the ECB appears to remain in a state of denial over the problems it faces. As a keen observer has pointed out, the weakening of the euro would in fact increase the revaluation account. This is because the assets, such as gold or dollars, would be able to be sold or exchanged for a larger amount of euros. There might be an inflationary aspect to this, as with any devaluation, although we doubt that it would be large enough to have much impact. An admitted mistake on our part, though certainly not a vital part of our argument in any case. Almost entirely unnoticed by the UK media (with the exception of the Guardian), the House of Lords is doing its best to rip the heart out of the Government's EU Bill and accompanying "referendum lock". The Government last night suffered its third and fourth defeats on the Bill in a week, with peers voting by 242 to 209, to modify the Bill's "sovereignty clause" and by 209 to 203 to introduce a "sunset clause", which would see the entire Bill lapse at the end of this Parliament. We have always felt the sovereignty clause the less important aspect of the Bill compared with the referendum lock but the latter, designed to give Parliament and voters a say over any significant future transfers of power to Brussels, has now been attacked and severely mauled by peers. On Monday, peers voted to restrict the issues on which referendums should be held to only three: joining the euro, the creation of a "single, integrated military force", and changes to border control. This would leave the public without a say over several important issues such as whether a future UK Government could sign up to the creation of a new European Public Prosecutor or give up arguably the UK's most important veto of all: it's right to veto the multi-annual EU budget. 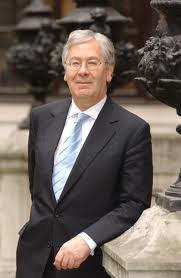 And, in the words of Foreign Office Minister Lord Howell, these amendments completely "undermine the direct and frank and honest commitment that we wish to make to the British people...I really would suggest that the public can be trusted to determine what is in their own interest." As we've noted before, there is a certain irony in the fact that it is an unelected body, the House of Lords, which is displaying such great suspicion and hostility to giving people a greater say over their country’s relationship with the EU - and peers have given us some unintentionally hilarious quotes during the often bizarre debates on the Bill (we'll give you a few samples shortly). But the fact that it is being allowed to do so completely under the political radar is probably even more worrying. "Nothing can stop us - we will never pay!" If you'd happened to pass by Syntagma Square in Athens this Sunday - the site of various protests over the last few weeks - you would have had the chance to reflect on the various chants from the Greek protesters frustrated with their government's/the IMF's/the EU's harsh austerity measures. From the most basic “THIEVES! THIEVES! THIEVES!” (‘kleftes’ in Greek), which according to the Greek media was the most prominent chant a few weeks back, the protesters are now becoming rather more creative in expressing their frustration. For example, “We’re not going on holiday, we’re not going to the beach, we’ll be here every single day on the Square” (which rhymes in Greek apparently), could be heard around the Square last Sunday. So could the catchy, “The junta didn’t end in ’73, we’re the ones who’ll bury it in this square”, a reference to the dictatorial Colonel’s regime ruling Greece from 1967 to 1974 (In Greek, “73” rhymes with “square” so was the natural choice for the protesters, despite the slight historical inaccuracy). “Their Parliament will become their prison!” was another popular one, although it's not exactly clear who "they" refers to. For those wanting to get straight to the point, the "Nothing will stop us - we will never pay" chant was another option. Happily, protesters seem to have dropped a previous minority favourite - "Politicians! Politicians! Come out, we are going to eat you!" - which, despite possessing a certain immediacy, might be a bit over the top (especially in translation). According to recent reports, there were fewer protesters around than on previous Sundays, but, according to the protesters themselves, this was due to heavy rainfall. Others point to the fact that yesterday was a Bank Holiday Monday in Greece, and many people chose to enjoy the 3-day weekend away from the city. After all, austerity protests or otherwise, a holiday is a holiday. The Bank of International Settlements - the go-to source for checking the exposure of one economy to another - published some new data last week. As always, it makes for interesting reading. In particular, we were fascinated by this: while European financial firms have huge direct exposure to Greece, Ireland and Portugal (since they own most of the bonds issued by these countries), it is American firms that have sold a substantial portion of the insurance on this debt (in the form of credit default swaps). This means that if, for example, Greece was to default the Americans would take a pretty hard hit since they would have to pay out on the insurance they have provided against a Greek default. So if this reading is correct, a surprising number of American firms that have taken the opposite side of the bet on a Greek default. No, we're not talking about the ECB, but the Frankfurter Allgemeine Zeitung. Following the stinging attack from its Vienna editor last week on the current direction of the EU, it was today the turn of the paper's Economics Editor, Rainer Hank, to launch his own broadside. "The EU could just let Greece crash because in paragraph 125 of the EU treaty it says: 'The Union shall not be liable for or assume the commitments of central governments' (…) It will never come that far because, one year ago, European politicians founded the 'euro rescue club' which has had plenty to do ever since. It started with €110 bn for Greece, continued with billions more for Portugal and Ireland and now we are back to Greece again even though the IMF, the ECB and the EU have predicted Greece’s bankruptcy in official statements." "No doubt: Europe’s rescue started with a breach of law. And, as with Adam and Eve’s breach of law in paradise, one sin leads to many others." ...which is all too true. He then goes on to make the very crucial point that the bail-outs are pretty much against the ECB's and the IMF's rules as well - an argument that plenty of German economists will readily subscribe to. For you German speakers, we strongly recommend reading the whole article - there's plenty of thought-provoking stuff in there. The Open Europe team has spent a couple of weeks delved into the books of the European Central Bank. Trying to get to the bottom of what's actually on the ECB's books is a bit of a mission, given that the institution is so opaque that it would probably violate the EU's Transparency Directive on virtually every single point. In any case, last week we published a report cataloguing the exposure of the ECB to weaker eurozone economies. We estimate that its exposure to Portugal, Ireland, Italy, Greece and Spain has now reached €444 billion - €190 billion of which is to Greece. The point being that this is a hidden potential cost to taxpayers of trying to save the euro (as the ECB is underwritten by taxpayers). The findings stirred things up a bit - and we got plenty of feed back (overwhelmingly positive for trying to shed some light on what is a dense and poorly understood area). Below are some clarifications and remarks in regards to some of the feed back we got - it's a bit long-winded but please bear with us. "The ECB's losses will be shared between national central banks so it won't be a cost to the ECB itself." We heard this from a couple of people but it's actually not countering anything that we're saying. In fact, we're making the very same point in the report. Any losses will always be shared out between national central banks (particularly as it is national central banks that accept the collateral for banks in return for giving credit). There are, however, a few possibilities for how such losses will be shared in practice (either the ECB's reserves can take the hit directly, meaning it will most likely need to be recapitalised, or NCBs will take the hit directly with the ECB technically only shouldering 8% - see p.9 of the report for a discussion on this). But regardless, the cost will ultimately be passed on to taxpayers. "The ECB should be able to withstand losses arising from a sovereign default, even if it needed further recapitalisation by its NCBs." Related to the above, this is the conclusion that an article in last week's Economist, citing our report, seemed to draw. In other words, a Greek default would not wipe out all of the ECB's reserves. Again, as we argue in the report, this is true but is sort of missing the point we're making. "Even" in that sentence is the crucial part. A recapitalisation from NCBs would effectively constitute a cost to taxpayers - which is precisely what we're trying to flag up in the briefing. "The central bank in the country that defaults will take most of the hit". This is what ECB executive board member Lorenzo Bin Smaghi said in an FT interview the other week, seemingly suggesting that the Greek central bank would take most of the hit from a Greek default. As we've argued here, this is implausible. How would the Greek central bank, backed by the country's cash-strapped national treasury, be able to absorb such huge losses? And if it had to face such losses, then bail-out money would have to take up the slack, which again would take us back to taxpayers. And as we note in a letter to today's FT, Bin Smaghi's claim has been contradicted by Dutch executive board member Nout Wellink, who told Dutch television last month that Dutch taxpayers were on the hook for €4bn via the ECB should Greece default (using this as an argument against Greek restructuring). This suggests that the losses would indeed be shared out amongst NCBs. Incidentally, Wellink's projections line up almost exactly with our higher-end estimates for how much a Greek default would cost the ECB (we estimate €65.8bn in total under with the Dutch central bank would be on the hook for €3.9bn). "The perceptions of a central bank’s financial strength have an impact on the credibility of the central bank and its policy. If it is expected that the central bank is not capable of or willing to incur losses, then costly objectives and policies are not credible and the target cannot be achieved or only at a higher cost to the economy. Financial strength helps the central bank to protect its independence, which is a crucial component of credibility." "Other central banks are even more leveraged than the ECB". 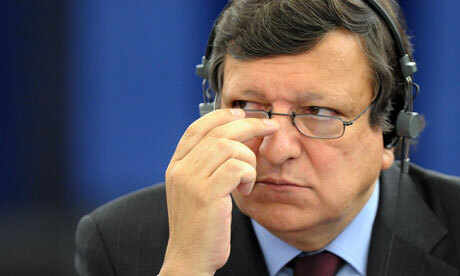 This is, in essence, what Commission President Jose Manue Barroso said when presented with our findings. Barroso is actually correct. Both the Bank of England and the Fed are leveraged around 50 times (which is itself a bit concerning - but that's a different discussion), compared to the ECB's 23 times (though other central banks such as the Swedish and Swiss ones are only 5-6 times leveraged). The ECB's leverage itself is not as controversial as what's actually behind it, and differs from that of the Fed and the Bank of England in some vital respects. In particular, the ECB's acceptance of risky paper, such as Greek bonds, is effectively transferring risk from investors to taxpayers, and from weaker, debt-challenged euro-zone economies to the richer economies, like Germany's. This isn't what the ECB should be about. "The ECB also bails out banks and governments in a third way". This relates to the discussion regarding the Eurosystem's Target2 system, which some economists, head of the Ifo institute Hans-Werner Sinn in particular, have argued constitutes a separate stealth bailout from the German central bank to peripheral central banks. The impact of the Target2 system is far from clear but we are of the view that it is, at most, looking at the same problem from a different perspective. The argument that these Target2 imbalances have been crowding out lending in the core or funding peripheral current account deficits also seems misguided. This debate will likely rumble on, but ultimately Target2 is a settlement system and as the interbank lending market in Europe recovers these imbalances should retreat (although this could take some time). In the meantime, any losses would still be shared out amongst Eurosytem members as we laid out in our paper. The real risk is still best represnted by the extensive loans which the Eurosystem has made to peripheral banking sectors and the dodgy collateral it has accepted in return. The prize for the strangest response to our report, however, goes to the Brussels correspondent of Spanish financial daily Cinco Días who (in addition to suggesting that we want to ban Brussels sprout) concluded that the reason for us publishing the report on the ECB's exposure was because....wait for it...we have invested in a massive amount of Credit Default Swaps on Greek debt. In other words, should Greece default, we'd be rich. Now, if only that was true. How much uglier will this get?